In recent decades, the science of gas separation by use of a nanoporous permselective membrane has widely developed due to properties such as low energy consumption, easy operation, low waste generation and economic benefits. 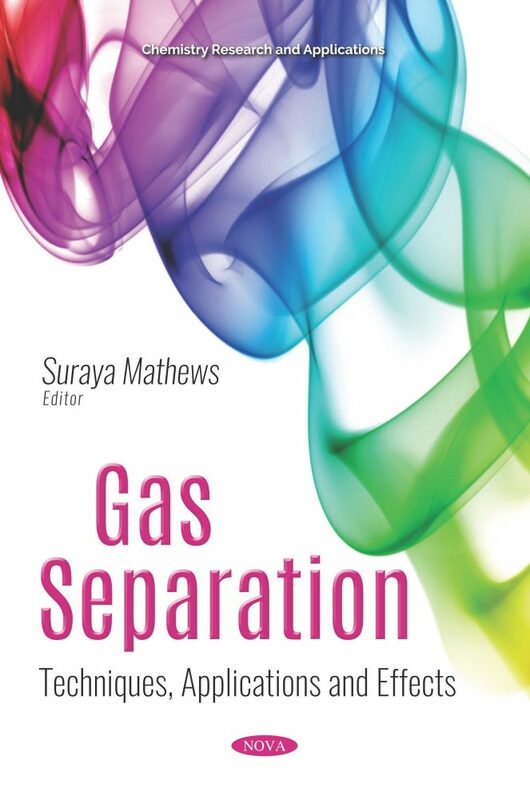 In Gas Separation: Techniques, Applications and Effects, the fundamental concepts of membrane gas separation and the formation of nanoporous membranes are been discussed. The authors go on to examine mixed matrix membrane, a composite material comprised of inorganic fillers. The primary role of fillers is to systematically manipulate the molecular packing of the organic phase, thus enhancing the gas separation properties of matrix membranes. The closing study analyzes the permeability and selectivity of carbon dioxide and methane gas of polyvinylchloride mixed matrix membrane with the inorganic fillers of zeolite 4Å particles. The fabrication of mixed matrix membranes is prepared by using dry/wet phase inversion method, and Fourier transform infrared spectroscopy is used to study the chemical interaction of the membrane by analyzing the intensity of the peak of chloride vibration.